The cause of achlorhydria in first case may be subtotal gastrectomy, atrophic gastritis, carcinoma, gastric polyp etc while in later case it may be chronic nephritis, tuberculosis, hyperthyroidism, chronic alcoholism, sprue, pellagra etc. 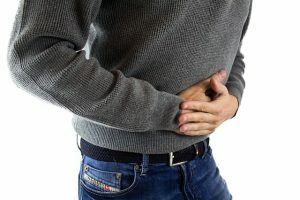 The symptoms vary with associated disease but they generally include mild diarrhoea or frequent bowl movement, epigastric pain and sensitivity to spicy food. Achlorhydria can be treated by various acidifying agents like ammonium chloride, dilute HCl, Calcium chloride etc. The pH of stomach is 1.5 -2 when empty and rises to pH 5-6 when food is ingested. The pH of stomach is so low because of the secretion of HCl. Gastric HCl act by destroying the bacteria in the ingested food and drinks. It softens the fibrous food and promotes the formation of the proteolytic enzyme pepsin. This enzyme is formed from pepsinogen at acidic pH (>6). Pepsin helps in the metabolism of proteins in the ingested food. Therefore lack of HCl in the stomach can cause Achlorhydria. 2) where gastric secretion is devoid of HCl, but secreted upon stimulation with histamine phosphate. Dilute Hydrochloric Acid HCl M.W 36.5 I.P. Limit: It contains not less than 9.5% and not more than 10.5% w/w of HCl. The acid should be diluted with 25-50 volumes with water or juice and sipped through a glass tube to prevent reaction upon dental enamel. Achlorhydria can increase your risk of developing iron deficiency anemia. Without stomach acids, the body will have issues absorbing iron. Other vitamins and minerals such a calcium, folic acid, vitamin C, and vitamin D also rely on adequate stomach acid for their absorption into the digestive tract.